Just days prior to NSW introducing new ticket resale laws, a new Wikileaks-style Twitter account has popped up to claim that Ed Sheeran’s manager directly sold concert tickets to a secondary resale service. Over the last couple of weeks, Ed Sheeran has been making headlines for his new stance on ticket resellers, which has seen countless tickets to his current UK stadium tour cancelled as a way to ensure that fans don’t pay more than face value for them. 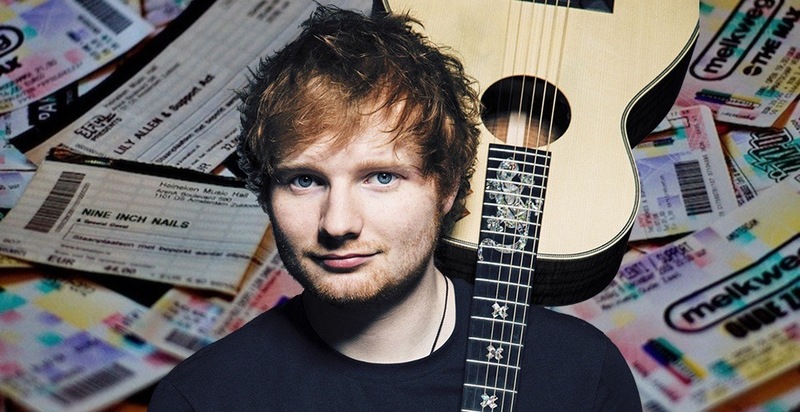 The method being undertaken at Ed Sheeran’s recent gigs involves promoters going through and ensuring that tickets sold through secondary services are cancelled. Then, as the fan tries to use these tickets at the door to gain entrance, they are given the chance to attempt to claim their money back from sites such as Viagogo and the ability to buy new tickets at face value. While it’s a win for the consumer on paper, many have criticised this new stance. However, the Ticket Leaks Twitter account has now alleged that Clancy Sheriffs of Sheeran’s UK promoter, Kilimanjaro Live, directly sold 600 tickets to a resale service in 2015, providing invoices to back up their claim. However, Kilimanjaro Live were quick to ensure people that there was anything untoward happening at the time that the tickets were sold to Ticket Queen’s Maria Chenery-Woods. “There is no story here. Clancy was working under company instructions when he legitimately allocated tickets to Ticket Queen who we had used for several years as a primary seller,” the company wrote on Twitter. Understandably, some Twitter users reacted rather poorly to this response, asking why the company would sell such a large amount of tickets to a single purchaser in such a manner. “Found out later it was a bad practice and ceased and blacklisted [Woods],” before revealing that all of this took place before the release and subsequent tour for Sheeran’s current album, ÷ (Divide). While no more confirmations of acknowledgements have been made by Ed Sheeran’s camp, Ticket Leaks have continued to share more information about other promoters allegedly selling tickets to resale services in the UK, with tickets for acts such as Robbie Williams and Queen being at the forefront of these accusations.